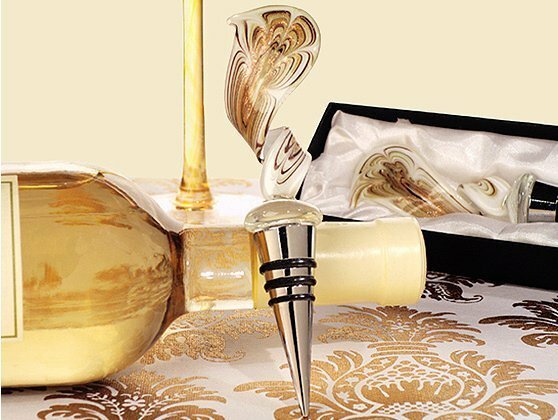 Wow your guests with a Murano inspired swirl design bottle stopper handmade and packaged to impress. 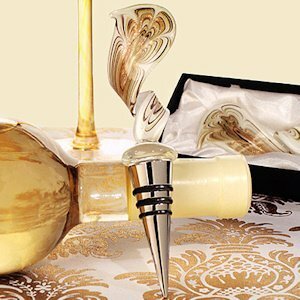 This unique Venetian like design features elegant golden tone colors attached to a chrome metal bottle stopper - no two are exactly alike. We package each stopper in an attractive 2 piece white gift box with a soft satin lining, ready for gift giving. Each stopper measures approximately 5" in length.